Just a reminder for our forum viewers about our upcoming Dome Fly. Bring your usual indoor flyers but please leave the hotrods for outdoors. Slow flyers, 3D airplanes, quads. and micro helicopters up to 250 are good examples of what you can bring. MAAC required. Spectators are encouraged to come along. See you there. Thanks to all of you that made it out last night. A great time was had by all and the two aircraft that were stuck in the netting at the very top of the roof, are back on the ground and heading to their owners. Take care and see you at the Last Flight of the Year on Saturday. 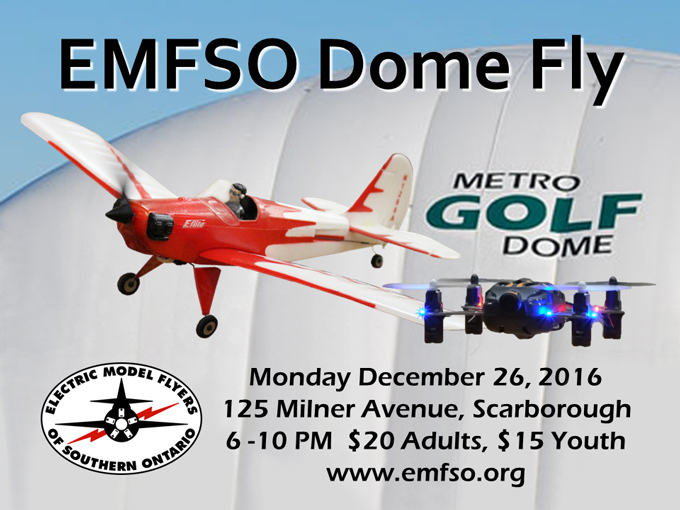 On a blustery, wet Boxing Day, Electric Model Flyers of Southern Ontario hosted the annual end-of-the-year dome fly at Metro Golf Dome. The event featured 4 hours of action packed flying. There were scale aircraft, 3D foamies, numerous slow flyers, some really quick fixed wing aircraft, helicopters and plenty of multi rotors. 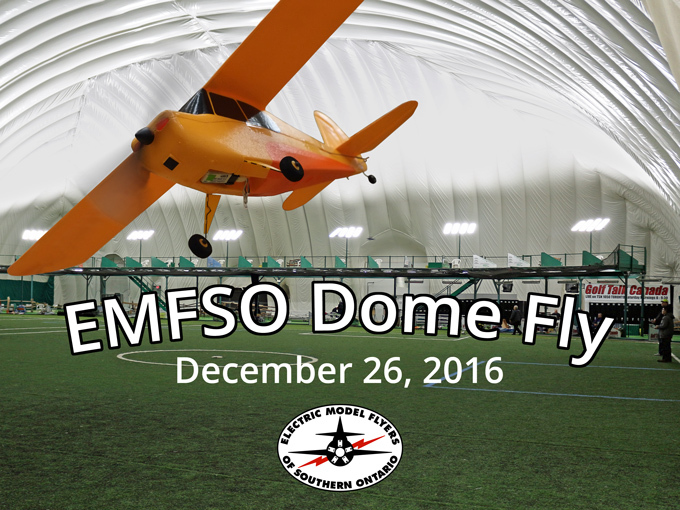 EMFSO thanks all of the registered pilots, visitors and volunteers for making the event a success.